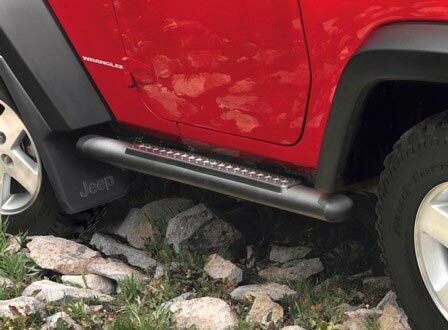 Add good looks and convenience to your Jeep Wrangler with a set of tubular side steps. These tubular side steps are made of aluminum and are available in either a black powder coat finish or a chrome finish. 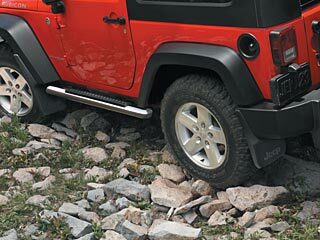 They have a skid-resistant step surface to make it easier to get in and out of your Wrangler and molded end caps give them a finished look. Choose the two-door or four-door set from the list below. Available in Black Aluminum and Chrome. Tubular Side Steps. 2-Door or 4-Door. Please select model and type above. Please click on photo for more pictures. Not compatible with rock rails. If applicable, must remove them for installation. These steps are very sturdy, easy to install (took me under thirty minutes to install both), and really complete my Wrangler. If your Wrangler came without side steps this should be your first after market purchase, hands down! ProsQuality, price, and ease of installation. Items are very well made and were no problem to install. A little issue with space to use a socket wrench but no real issue. Great Price - Great Product! There's not much to say about these that you probably don't already know. These are the real deal Mopar Tubular side steps. Could not be any easier to install - even a caveman could do it. Nice clean look, and functional as side steps. They look prefect on the Jeep - like a factory installed item, not some weird fitting after market piece of crap. 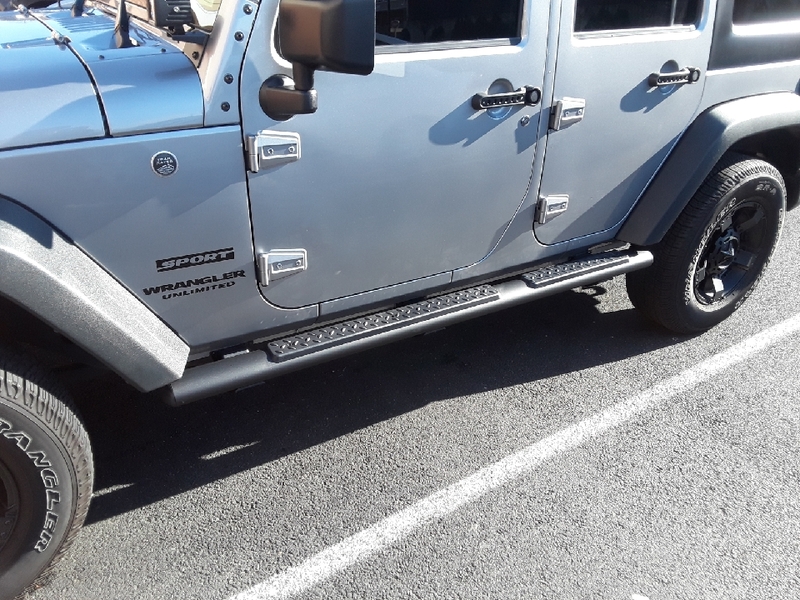 My guess is they would not make good sliders / rock protectors if your intent is to use them to protect your Jeep off roading - not heavy duty enough for that. 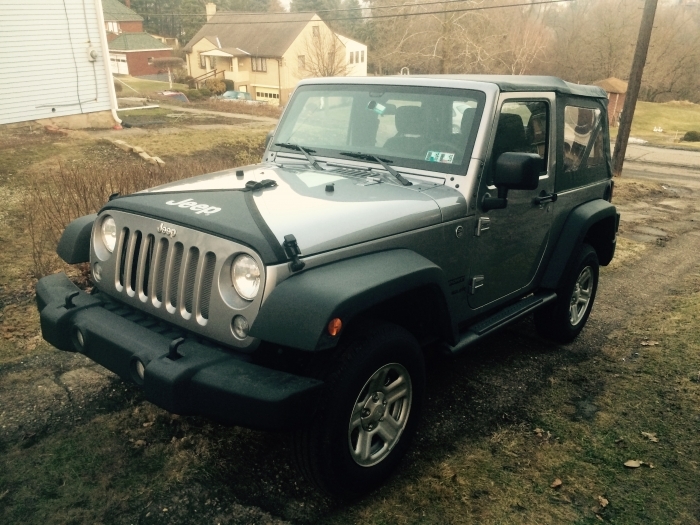 The price on justforjeeps was considerably less than other sites - and they actually had them in stock and shipped them quickly. I'll most definitely come back to justforjeeps when looking for additional accessories. the steps look Great and feel sturdy. super easy to install. only took 30 minutes. The description of the product was excellent. Note, you don't need to order (2) as they already come in a set. The customer service was excellent as they caught my mistake and called to verify quantity before the order was even processed. The installation was simple and took less then an hour. (And I'm no mechanic).